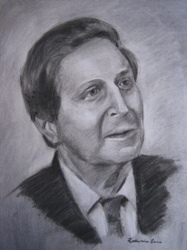 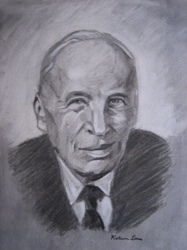 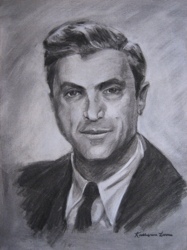 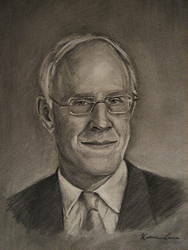 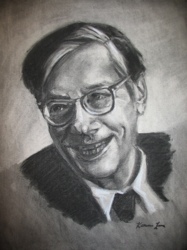 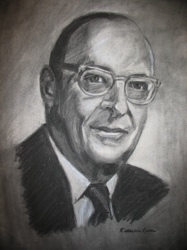 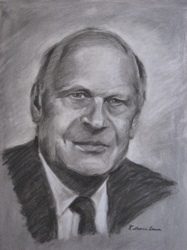 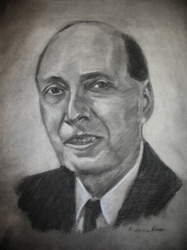 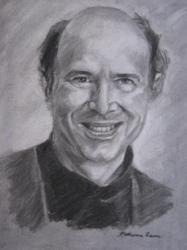 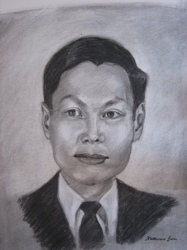 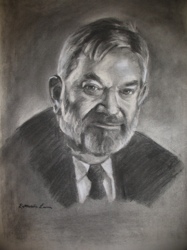 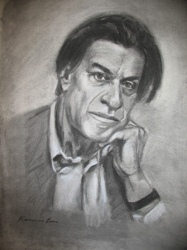 Charcoal drawings based on the photographs at nobelprize.org, by Katherine Luna. 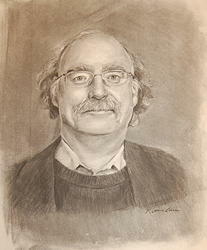 Here is an interview with the artist (in dutch). 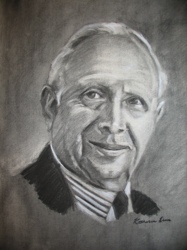 During her stay in Leiden as "resident artist", Katherine Luna also made this painting of concepts from (theoretical) physics. 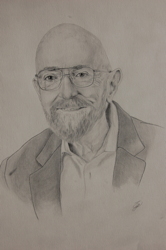 The drawing of Kip Thorne is by Elena Garuccio.